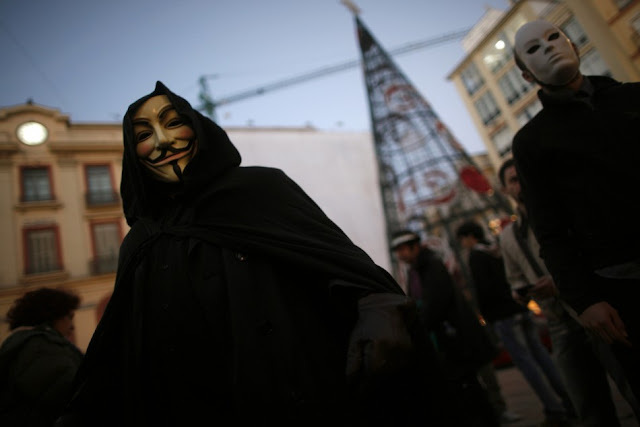 Cyber activists associated with Anonymous have targeted the Oakland Police Department (OPD) and other law enforcement agencies that participated in a controversial crackdown against OccupyOakland protestors. A DDOS (distributed denial-of-service) attack against the department's website www.oaklandpolice.com is underway, and the website currently is unreachable. AnonyOps tweet "I'm amazed and proud of #occupyOakland protesters who stood defiant, peaceful in the face of lethal force by Oakland PD." Police fired a number of tear gas canisters, concussion grenades, rubber bullets and non-lethal rounds at demonstrators on Tuesday night, drawing widespread condemnation for the use of heavy-handed tactics against unarmed civilians. The attack was first announced via Anonymous' AnonOps Twitter feed. "@Anon_Central: Admin/User/Password Dump of oaklandnet.com Problem Oakland authorities? F--- you! >> pastebin.com/S8VRwRxQ #Anonymous," read AnonOps' tweet. Reports of police violence against Oakland protesters re-emerged Tuesday on the movement's Web site, occupyoakland.org. The Web site published statements charging the U.S. police of numerous acts of brutality, during a recent raid designed to evict protesters from their encampment. The most seriously injured victim was Scott Olsen, an Iraq War veteran, who suffered a fractured skull after being struck by a police projectile. His condition was upgraded to "fair" today, according to reports. According to the Pastebin document, Anonymous is offering a "no questions asked" $1,000 reward for information about the officer who threw the projectile at Olsen.